Renting out your house might be worth considering, especially if you’re ready to relocate and you’re opposed to selling. Picking up a tenant could help you pay off your mortgage more quickly. Then, you could put the money you’ve earned toward a financial goal, like perhaps into a retirement account. If you’re not sure what to charge for rent, we’ve got some factors you’ll need to take into account. 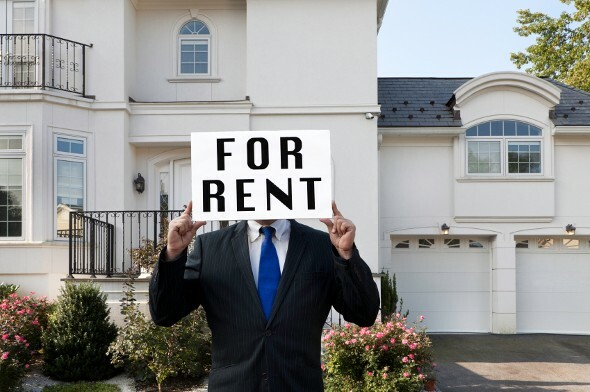 Deciding to rent out your house rather than sell it might make sense for various reasons. Homes can be tough to get rid of, particularly if your asking price is too high or your home listing isn’t visible enough. And selling might not be a viable option if you haven’t built up enough equity in your home. If you’re looking to purchase a different home, you could take your equity and use it to make a down payment. But allowing someone to rent your home, even temporarily, is a big deal. For one, are you ready to become a landlord? Regardless of how responsible your tenants might initially seem, they could end up destroying your home or bringing down its overall property value. And you’ll need to be prepared to have a flexible schedule so your tenants can reach you if a toilet clogs or a pipe bursts. Turning your home into an investment property could be a financially risky move as well. You might have to spend money to fix up the property before you can rent it out. While there are many tax breaks available to landlords, it’s best to plan on paying for expenses such as property taxes, maintenance costs and homeowners insurance. Plus, you’ll be on the hook for paying the mortgage as well if your tenant suddenly moves out and it takes time to find a replacement. On the other hand, renting out your home could provide you with enough money to pay off your mortgage. That could be a great way to rake in extra cash if you’re waiting for your home’s value to go up. You could then use the remainder of your earnings as profit or savings. When you’re trying to determine how much rent to charge, there are a number of things you’ll need to think about. A good first step is figuring out what your home’s currently worth in the market. That amount could be different from the price you originally paid for your home. You could use a website like Zillow to estimate your home’s value. But it might be best to find a home appraiser who can give you a more accurate assessment of what it’s actually worth, based on the condition of the home, local home sale prices and where the home is located. The amount of rent you charge your tenants should be a percentage of your home’s market value. Typically, the rents that landlords charge fall between 0.8% and 1.1% of the home’s value. For example, for a home valued at $250,000, a landlord could charge between $2,000 and $2,750 each month. If your home is worth $100,000 or less, it’s best to charge rent that’s close to 1% of your home’s value. If your house is more expensive, however, (meaning that it’s worth over $350,000) it’s a good idea to charge less rent so that you can attract more buyers. Charging rent that’s too high will make living in your house unaffordable for many people. Other than your home’s worth, you’ll also need to consider what landlords are charging for similar rentals in your area. If the rent you want to charge is unreasonable compared to what everyone else around you is charging, you might struggle to find a tenant who’s willing to commit to your terms. A website like Trulia or Craigslist can show you how the rental rate in your head stacks up against the rates your competitors are offering. If you’re renting out your house so you don’t have to pay for your home loan, the rent you charge has to be at least equal to the cost of your monthly mortgage bill. Don’t forget to factor in an estimate of repair costs, taxes, homeowners association fees and insurance when you’re deciding what to charge. One other thing to keep in mind: You can’t necessarily choose whatever rental rate you want. Some states limit what landlords can charge for rent, security deposits and late fees. Rent control laws exist, for example, in places like New York, Maryland, California and Washington D.C.
How Do I Put My House up for Rent? When you’re ready to find tenants to rent your home, you can ask a real estate agent to list your house for you. But that comes with a cost. You’ll owe your agent commission, whether that’s equal to one month’s rent, or another percentage. If you want to publish your own real estate listing, you can upload it onto a website like Zillow for free. You can make flyers to pass out or use your social media accounts to let everyone know you’re looking for tenants. 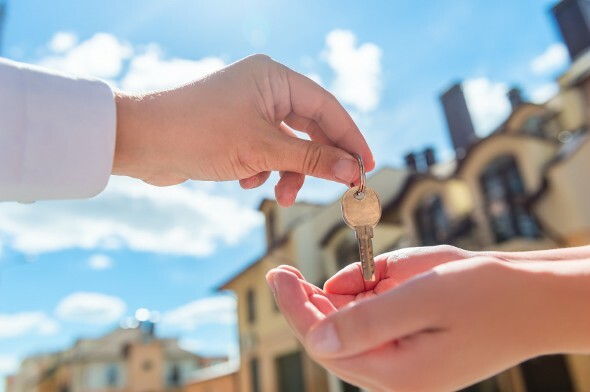 Before you hand over the keys to your house, it’s a good idea to be sure that your prospective tenants have solid financials and can afford to keep up with their rent. If you’ve chosen to rent out your house instead of selling it, you can’t charge rent solely based on the size of your mortgage payments. Picking a rental rate based on the total cost of turning your home into an investment property and on area rents can ensure you make a decent return and easily find tenants. Update: Have further financial questions? SmartAsset can help. So many people reached out to us looking for tax and long-term financial planning help, we started our own matching service to help you find a financial advisor. The SmartAdvisor matching tool can help you find a person to work with to meet your needs. First you’ll answer a series of questions about your situation and goals. Then the program will narrow down your options from thousands of advisors to three fiduciaries who suit your needs. You can then read their profiles to learn more about them, interview them on the phone or in person and choose who to work with in the future. This allows you to find a good fit while the program does much of the hard work for you.